St. Moritz features one- and two-bedroom units, a dog park, pool and spa, gas fire pits, fitness center, basketball court, putting green and business center. 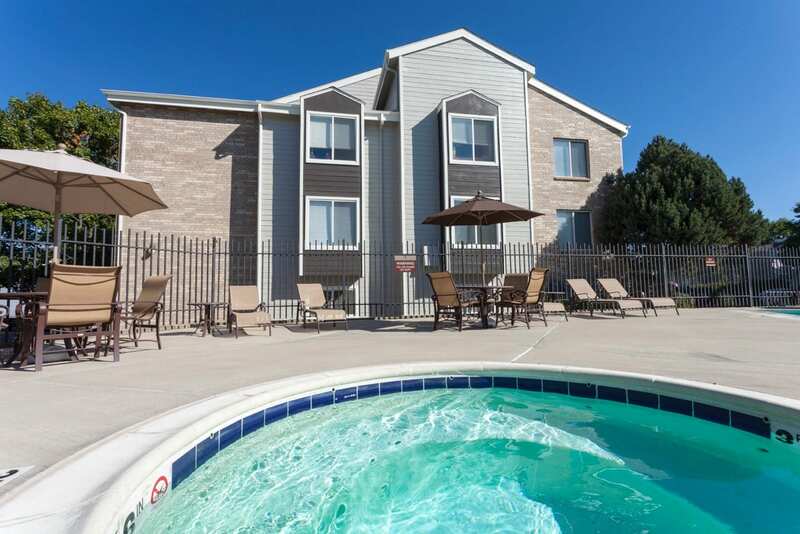 A partnership “bullish” on Denver’s multifamily market purchased the St. Moritz Apartments in a $78 million transaction. Denver-based BMC Investments and Southern California-based Oak Coast Properties acquired the 360-unit community at 1724 N. Robb St. in Lakewood – the sixth investment partnership between the firms. BLDG Management, an affiliate of BMC, will manage the community built in 1986. An affiliate of Lowe Enterprises Investors sold the community, which it acquired in 2014. “We had a ton of interest in the property,” said ARA Newmark’s Shane Ozment, noting that there were 30 tours of the asset and double-digit offers on the community. Ozment, along with Terrance Hunt of ARA Newmark, represented the seller on the transaction. Carmel Partners had owned and made renovations to 134 units prior to Lowe acquiring it. Lowe undertook its “classic” renovation program to 146 units, which included new white appliances, plank flooring, sixpanel doors and lighting, and saw an increase in rents of $157, commented Ozment. An additional seven units underwent further renovations with new countertops, stainless steel appliances, plank flooring, sixpanel doors and new lighting, and those units saw an increase in rents of $270. Oak Coast and BMC plan to make light renovations to common areas and amenities, with an investment strategy focused on creating long-term value and maximized occupancy of the community. Additionally, St. Moritz’s location also drew interested buyers as it’s in a market where there is low inventory, strong employment from employers such as the Denver Federal Center, St. Anthony Hospital, the Jefferson County Government Center, Coors, School of Mines and NREL, retail at Denver West and along Colfax, and is near the Oak Station light rail station. St. Moritz features one- and two-bedroom units, a dog park, pool and spa, gas fire pits, fitness center, basketball court, putting green and business center. At the time of its sale it was 95 percent occupied and has “always” been 95 to 96 percent occupied over the last few years. “It was a great deal in a great market,” added Ozment. Charles Halladay, Brock Yaffe and Rick Salinas of Holliday Fenoglio Fowler’s debt placement team assisted in securing a $55 million acquisition loan for the buyers through Freddie Mac’s CME program. The securitized loan will be serviced by HFF. BMC Investments is a diversified and vertically integrated real estate investment company specializing in the development, acquisition and manage of properties across various asset classes and geographies, including more than 3,600 units in Denver. Oak Coast is a commercial real estate investor specializing in Class B and C multifamily properties and owns approximately 4,000 units in the metro area. The acquisition represents the first in Lakewood for the joint partnership, which continues to source and acquire investment assets in the Denver metro area.